Iceland, June 2014, Overseas Adventure Travel (OAT) trip. 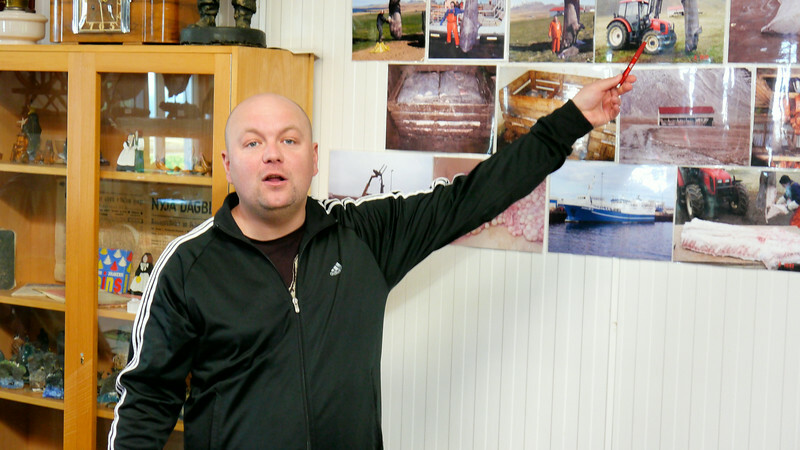 Our host at the Bjarnarhöfn Shark Museum explains the process they use to cure the shark meat and make Hákarl. The sharks are huge and the process is a bit disgusting.